The QL-25-GT Mini Quik-Latches have an upper latch housing design that is inspired by the Ford GT500 gas cap design. This design brings added flair and attitude to your installation, espeicially if you are installing to a Ford product! 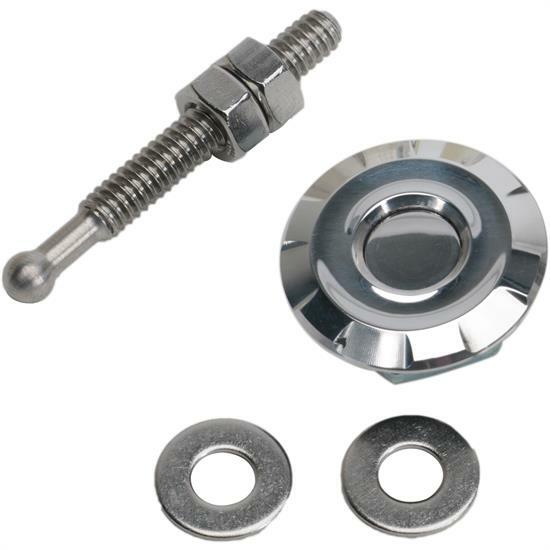 The latch housing and button is constructed from aluminum and made while the latch internals and pin are made from stainless steel.